Last July a group of 21 selected students from different universities in Bulgaria had the opportunity to participate in a two- week internship program at SAP Labs Bulgaria and feel the spirit and the atmosphere of an international IT company. Thanks to our colleagues who took on the roles of mentors and lecturers, the girls and boys broadened their knowledge in pressing IT topics and had the chance to work on projects and to learn what it means to work in a team. In the final day the teams presented their ideas and showed a demo version of the apps they have developed. For the past 2 years SAP Labs Bulgaria has been a driving force behind summer programming camps at schools in different cities in Bulgaria. This initiative aims to inspire youngsters to build careers as software developers and helps SAP broaden its impact on Bulgarian IT education. This year we decided to reach even more students and spread the idea and our know-how with high schools all over the country. Finally we had programming camps in schools in the cities of Silistra, Vidin and Targovishte. The last one was delivered by a high school student who participated in our school for students in 2015, GeekyCamp. 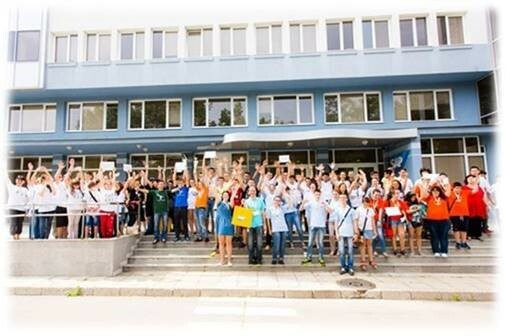 For a third year our summer programming camp known as SAP GeekyCamp gathered 27 high-school students representing 15 schools from 11 towns in Bulgaria. The participants were selected among more than a hundred candidates from all around the country. 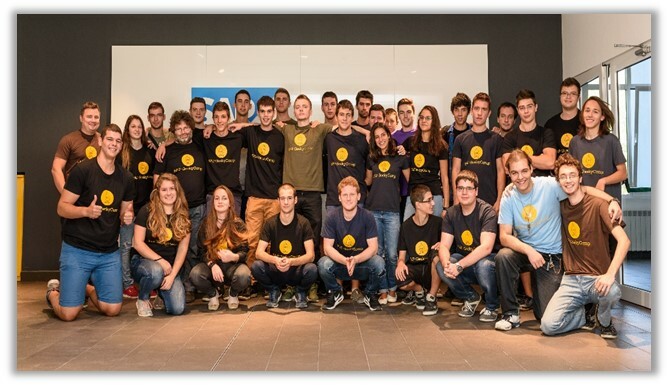 SAP GeekyCamp is an intensive two-week learning camp, which ends with a hackathon. This year there are 16 projects, which will be further developed and will compete for top medals and prizes. HackConf is a free two-day conference dedicated to IT education, organized by Hack Bulgaria and supported by SAP Labs Bulgaria. The conference was held for a second consecutive year and gathered more than 1500 high school and university students, beginner programmers, amateurs and enthusiasts. Our booth attracted crowds of visitors. Besides having a chat with our colleagues, everyone could play around with some of our d-shop gadgets: the pocket beamer, the 3D pen, a bunch of samples created by our 3D printer and Oculus Rift and LeapMotion sensor giving a notion of the software interfaces of the future. Our special game with prizes included treasure hunting and solving different tasks written in different program languages. 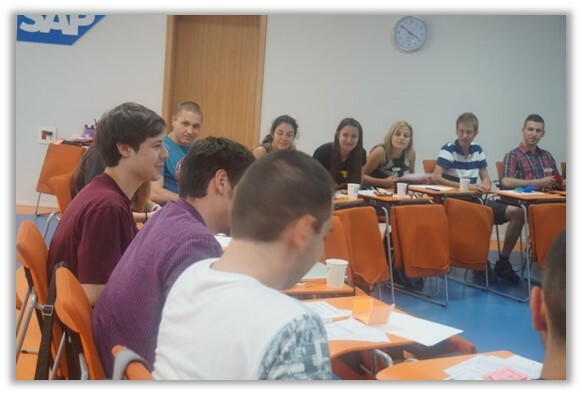 In October we started the second edition of our scholarship program Study iT First. The goal is to give first-year IT students the opportunity to focus on their studies and support their career development at an early stage. This year 136 students from 6 universities submitted their applications. After a technical test and interviews 12 students were selected to receive monthly scholarship, valuable help from personal SAP mentors, as well as the opportunity to join our company as interns during the summer. On 2nd of December, the finalists had an informal meeting with their mentors, as well as the scholars from last year’s initiative. The young talents exchanged experience and useful advice on how to benefit most from this opportunity. This year during EU Code Week SAP put the focus on teachers. Teachers from all schools in Bulgaria were offered access to an SAP online course in Robotics with LEGO Mindstorms and were encouraged to spread the knowledge among their students. Four teachers from different cities received financial support for their STEM projects as they succeeded to reach 373 students during the EU Code Week. 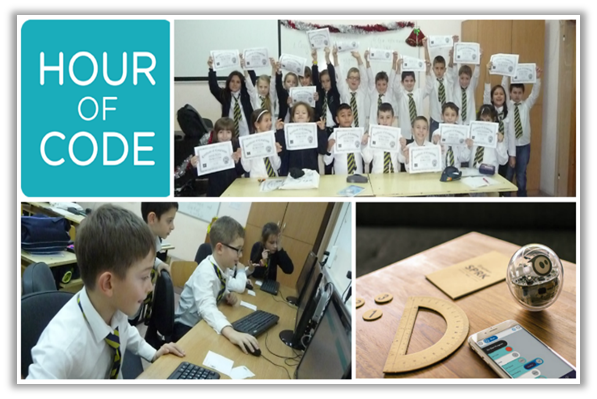 Besides EU Code Week SAP supported another global initiative, which aims to inspire people from all ages to do programming – Hour of Code. The event took place in December and focused on supporting teachers who have creative and sustainable ideas about developing STEM skills in their students. This year 44 teachers from 35 schools in 20 Bulgarian towns managed to reach 3818 students and enhance their knowledge about programming. 17 teachers received additional funding from SAP to continue working on additional STEM projects. 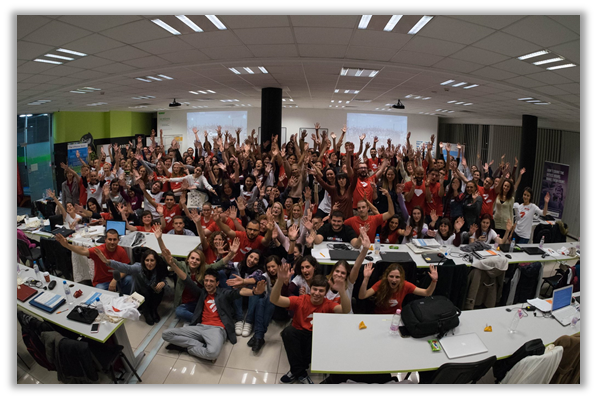 SAP supported the 7th edition of Rails Girls Sofia – a two-day workshop aimed at girls with little or practically no experience with programming and technology. A few of our colleagues participated as mentors. Their goal was to show that programming can be an interesting, exciting and useful skill. Also in 2016 The Autumn IT Completion took place in Sofia and gathered talented high school students from different cities all over the country. The youngsters competed with innovative IT projects, developed individually or in pairs. One of our colleagues was invited as a jury member. Finally SAP gave two special awards. 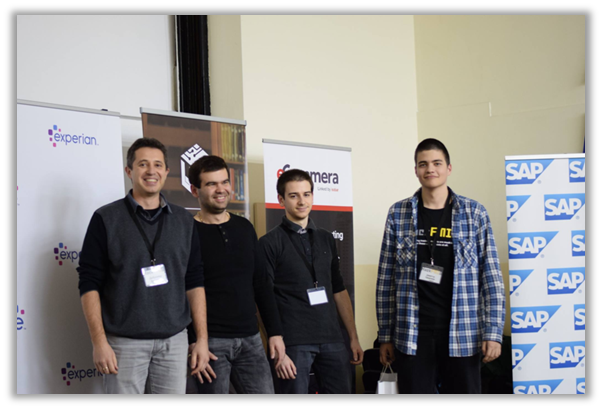 SAP Labs Bulgaria as a tradition supports the largest Bulgarian hackathon – HackFMI. The eight edition took place in December 2016 under the motto Hack for Data. 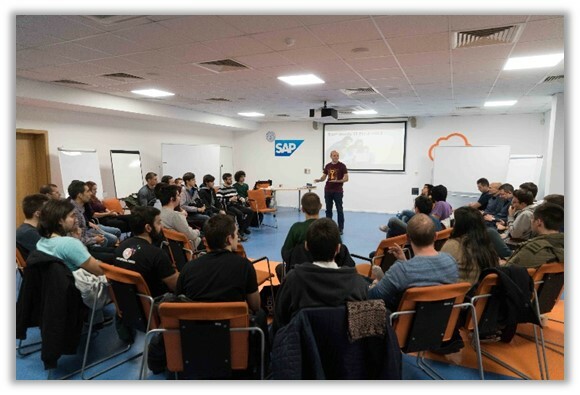 Colleagues from SAP Labs, who volunteered to be mentors, sent the teams on their road to success with lots of valuable advice and support with their projects. In addition to that, one of our colleagues was part of the jury and had the challenging task to evaluate the ideas and implementation of those innovative team projects. Finally SAP Labs gave a special award – a robot BB-8 – to one of the teams who developed a software that is able to recognize meteors on photos of the night sky. 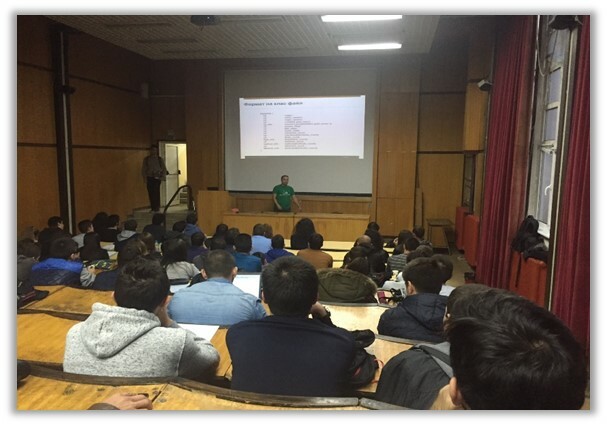 In the last quarter of 2016 there were six Open days @SAP visits with altogether 144 students from Sofia University, New Bulgarian University and Technical University. The students watched a presentation about our company, asked lots of questions and did a tour around the office guided by colleagues who gave them insight into the daily life of the software engineer at SAP. Finally our guest had the opportunity to learn more about Design Thinking and Accessibility and to play with our D-shop gadgets. All of them received an SAP T-shirt as a gift. 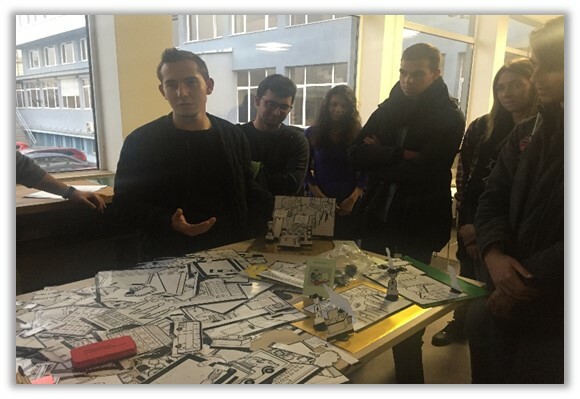 In December colleagues from SAP Labs Bulgaria participated in the initiative “TUES Inspiration Talks & Workshops”. 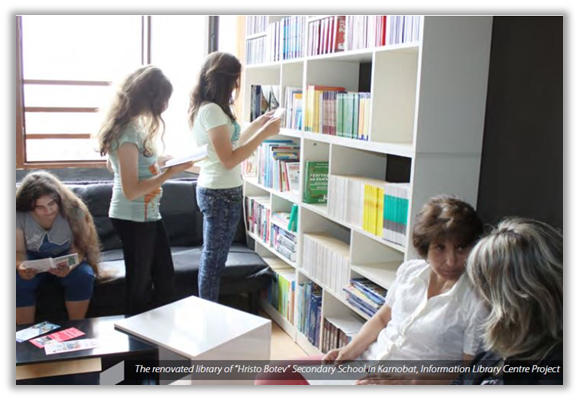 33 high-school students attended a workshop on “Introduction to Internet of Things”. They had the opportunity to learn more about the business implementation of Internet of Things and the usage of Raspberry PI and Arduino. Our colleagues shared their experience and created an atmosphere where the students could ask lots of questions. At the end there was a quiz and the most active students got an SAP T-Shirt. Finally, SAP Labs provided ESP8266 modules for the school laboratory to be used in the learning process. The second edition of Robotics for Bulgaria started in November 2016. New 17 pairs of mentors from 12 cities joined the program and they received Lego Mindstorm EV3 45544 sets to create their teams with students that will be competing throughout the year for attendance in the final festival in June. Thus we are now reaching 250 students from 10 to 16 years all across Bulgaria, who will learn to program a robot, create a research project and work in a team in their schools and 64 teachers in Bulgaria will acquire better STEM skills. The fifth edition of the most awarded CSR program in Bulgaria changed the focus from Underserved youth to STEM. Out of 19 applications, 9 schools received grants to develop projects in the area of STEM and virtual libraries. The direct beneficiary of the program are 1728 young people in small towns and villages who will get a better education and access to new technologies. 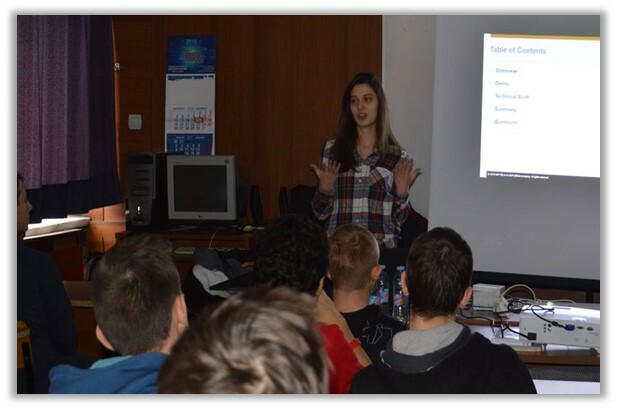 SAP Labs Bulgaria sponsored the further IT education of 7 selected IT teachers from different high schools in Bulgaria. The one-year education program was offered by the Faculty of Mathematics and Informatics of Sofia University and included topics like Java, Developing Mobile Applications, Cloud Computing and much more. One of our colleagues participated as lecturer and delivered a two-day workshop on Lego Robotics. In November the teachers completed the course successfully. Most of them participated in other SAP initiatives like EU Code Week, Hour of Code, Robotics for Bulgaria and Back2School. 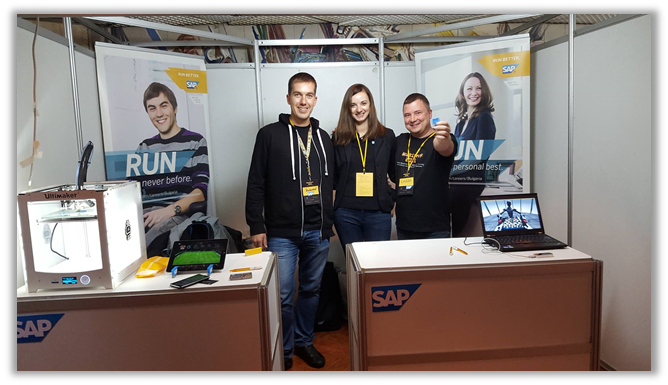 Finally in 2016 more than 120 colleagues from SAP Labs Bulgaria volunteered and participated in 54 SAP ITversity activities. Big THANK YOU to all of you who acted as mentors, lecturers, teachers, ambassadors, organizers and jury members! Altogether YOU make the difference with your huge contribution to better IT education in schools and universities! Amazing job! And this is even without counting all activities like CodeJams, InnoJams, hackathons, etc. 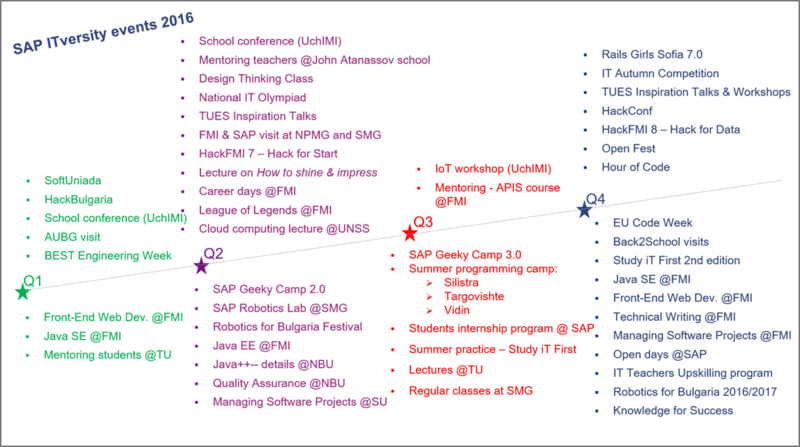 requested and/or organized by SAP University Alliances!